Choosing and financing your next vehicle can be a stressful process, but it doesn’t have to be, with rotating Volkswagen specials at Alexandria Volkswagen near Arlington. You can find a Volkswagen Golf or Volkswagen Atlas for a price that won’t over-stretch your budget with the specials below. 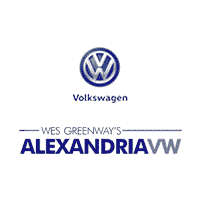 If you have any questions about our exclusive offers or new vehicle inventory, contact Alexandria Volkswagen and speak with our friendly staff. After you’ve taken a look at our new vehicle specials online, head to Alexandria Volkswagen in Alexandria for a test drive. Our team is standing by, ready to walk you through the car-buying process and find the new Volkswagen Tiguan, Atlas, or Jetta that’s perfect for you to take home to Washington DC. Feel free to apply for financing in advance or estimate your monthly lease payments with our auto finance calculator!